A visit to Kee’s Chocolates of New York City should be on every passionate chocolate lover’s bucket list. Named for the master chocolatier – Kee Ling Tong – who opened her flagship store in Soho twelve years ago, Kee’s Chocolates are the kind of chocolates that make you step back and think you’ve entered a sublime universe where nothing matters but chocolate and getting more of it because each perfectly hand-made bonbon is rich, decadent and unquestionably exceptional. 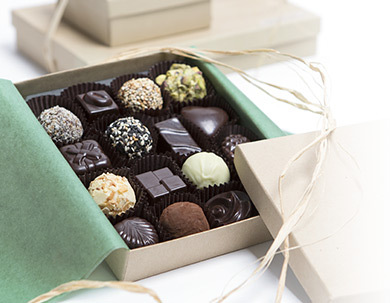 Kee’s Chocolates are made daily and include truffles, ganache, cordials, pralines, specialty chocolates, and turtles although the flavors change with the seasons and depend on the availability of ingredients. If there is a confection you have your heart set on, call ahead because many flavors sell out by the end of the day. Kee’s Chocolates use only the freshest ingredients from around the world, including sea salt from France, saffron from Spain, almonds and pecans from the United States, and yuzu from Japan to make the chocolates which include more than a dozen different types of truffles – Almond, Black Rose, Black Sesame, Blood Orange, Coconut, Cognac, Early Grey, Green Tea, Jasmine, Mango Green Tea, Mirabelle Plum, Pignoli, Pineapple Lychee, Pistachio, and Tiramisu. The ganache filled chocolates include the traditional: Mint Mocha, Crystalized Almond, Mint, Keylime, Passion Fruit, Champagne, Lavender; and the exotic: Balsamic, Blended Pepper, Fennel, Elderberry, Honey Kumquat, Lemongrass, Orange Confit, Smoked Salt, Thai Chili, and Yuzu. What they all have in common is how perfectly paired every nuanced and bold flavor is paired with chocolate, especially dark chocolate. Other enticing bonbons include the Dark Chocolate with Raspberry Puree – a chocolate that tastes like fresh raspberries covered in dark chocolate while the Kaffir Lime is a solid piece of dark chocolate infused with a hint of fresh Thai lime. 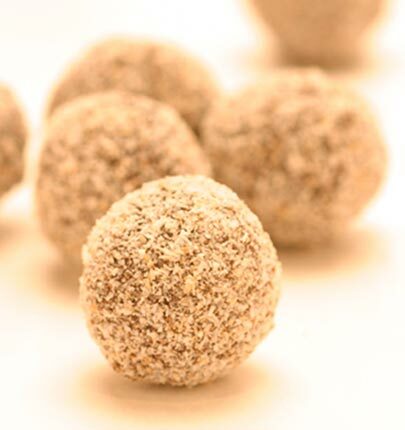 The Hazelnut Praline has a whipped but crunchy hazelnut praline filling enrobed in dark chocolate while the Créme Brulée – one of the most popular chocolates, – will make you forget about the classic dessert and choose chocolate instead. 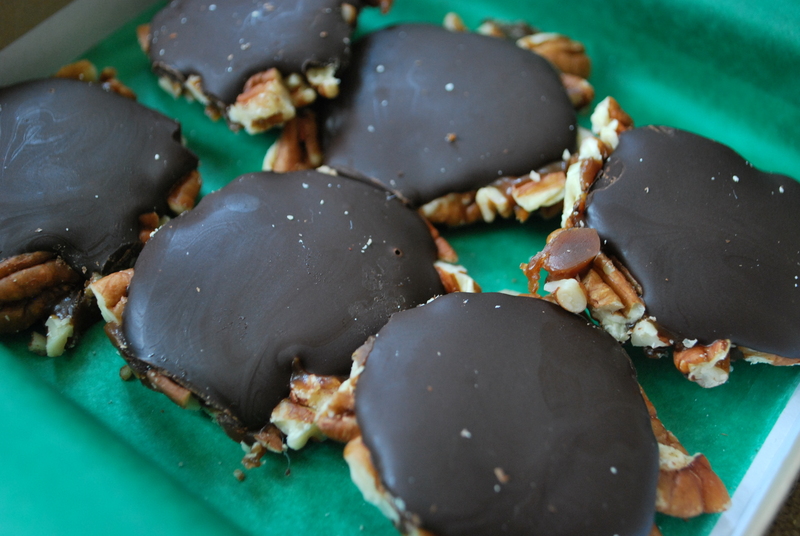 The turtles with three delectable layers of crunchy pecans, creamy caramel, and dark chocolate are outrageously delicious and highly recommended. Kee’s Chocolates also makes large bars weighing in at 4-5 ounces each in 64% bittersweet chocolate or 35% milk chocolate. The bars come in plain or in a variety of flavors including Sea Salt, Almond, Hazelnut, Espresso, Jasmine, Bergamot, Chili Citrus, and more. The chocolate can only be purchased at one of the three locations (there is no on-line option) so on your next trip to New York City, stop by Kee’s Chocolates. To read more about Kee’s Chocolates, go to the company website: www.keeschocolates.com.